On March 8, 18-year-old Breana Talbott of Denison, Texas, said that she had been kidnapped by three black men wearing ski masks, who drove her into the woods and raped her. She first brought attention to the alleged crime when she walked into a local church half-naked, covered in cuts and scratches — though her then-fiancé, Sam Hollingsworth, had called police earlier to report her missing after arriving at her apartment and finding “her back door wide open,” and her belongings, including her phone and her keys, scattered about. On Tuesday, Talbott admitted to police that she had made the whole thing up, and that her injuries were all self-inflicted. The Denison Police Department has determined that the alleged abduction and sexual assault case reported on March 8, 2017 was a hoax. The so-called victim in the case confessed to the hoax last evening (March 21) to a member of the investigative team working the case. On March 8, 2017 about 5:30 p.m., the Denison Police Department (DPD) received a call from a man describing himself as the fiancé of Breana Harmon Talbott, 18, claiming she was missing. The man told police Talbott’s vehicle had been found in the parking lot of the Creekmore Apartments at 3800 Texoma Parkway with the driver door open, her phone, keys and a shoe nearby. The Denison Police Department mobilized all available resources to begin looking for Ms. Talbott. Later the same evening, Ms. Talbott walked into a church located at 3400 S. Eisenhower Parkway wearing only a shirt, bra and underwear. She told witnesses at the church she had been kidnapped and sexually assaulted in the woods behind the church. There were also visible cuts and/or scratches on her body. DPD officers and detectives spoke with the victim who stated she was kidnapped near her vehicle at the Creekmore Apartments by “3 black males” as she described the alleged suspects, and were wearing ski masks, she said. She claimed the suspects took her in a black SUV to a wooded area nearby where 2 suspects raped her while the 3rd suspect held her down. After getting the victim’s information, she was taken to Texoma Medical Center for examination. In the meantime, DPD patrol officers, detectives, and the K-9 team scoured the area where Talbott says she was taken and assaulted. Several pieces of evidence were gathered and more of Talbott’s clothing and other personal effects were recovered. The case quickly gathered regional attention due to the severity of the alleged crime and rumors quickly begin to spin out of control through social media. Almost immediately, Talbott’s story and allegations began to unravel. Within only a day or two, detectives had doubts as to most of Talbott’s allegations. According to Talbott’s confession, we believe the crime scene – from the initial “kidnapping” scene at the apartment complex to the point of Talbott’s condition when she walked into the church - were staged. Talbott also admitted the injuries to her body were self-inflicted. Although I do not have the official report, it is our understanding that medical personnel who examined Talbott were unable to corroborate that Talbott had been sexually assaulted. This release is to notify the media and public that the Denison Police Department is closing the investigation of this case as reported and it is officially UNFOUNDED. 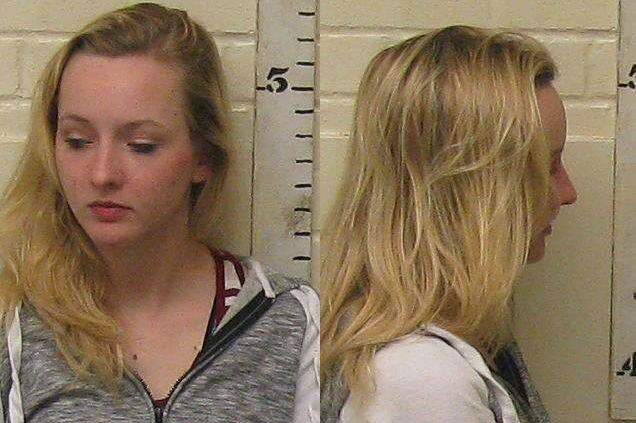 Due to Breana Harmon Talbott’s confession she lied to police when making this report, the department will file a criminal case against her for False Report to a Peace Officer, a Class B Misdemeanor. The department will also seek restitution for the significant costs for conducting such a major investigation. Our team of detectives, led by John Watt, did an outstanding job in the case. Almost from the beginning, we had doubts in Breana Harmon Talbott’s story as the puzzle pieces just weren’t coming together. We were unable to corroborate any of Talbott’s allegations that she had been abducted or sexually assaulted. This alleged crime as reported by Breana Harmon Talbott made many in the community fearful there were individuals abducting women. Even though we know the story to be a hoax, there is still potential damage to the reputation of the City of Denison and the Texoma region as many may remember the reported crime but not the outcome. That is unfortunate. Breana Harmon Talbott’s hoax was also insulting to our community and especially offensive to the African-American community due to her description of the so-called suspects in her hoax. The anger and hurts caused from such a hoax are difficult and all so unnecessary. Many persons fell victim to Breana Harmon Talbott’s hoax. The police were quickly disparaged by Talbott’s family and friends. Social media comments and opinions were out of control making it difficult to focus on solving this case. Even though we originally assumed this case to be legitimate, the great work of Denison Police Department investigators and officers quickly led to major questions as to the validity of the alleged crime. Even though we strongly felt this was a hoax soon into the investigation, it was my decision to delay notifying the public until we had 100% confirmation it didn’t happen. Plus, we wanted to insure we did everything we could on the remote chance there was any truth to the alleged crime. It’s unfortunate a person can falsely report such a major incident in our community that wastes the time of law enforcement and needlessly puts some people in fear. I apologize to those who have current investigations with the department as we delayed those to focus on this case. As I said in a recent Facebook post, Denison has been and will remain a safe community with a great quality of life.